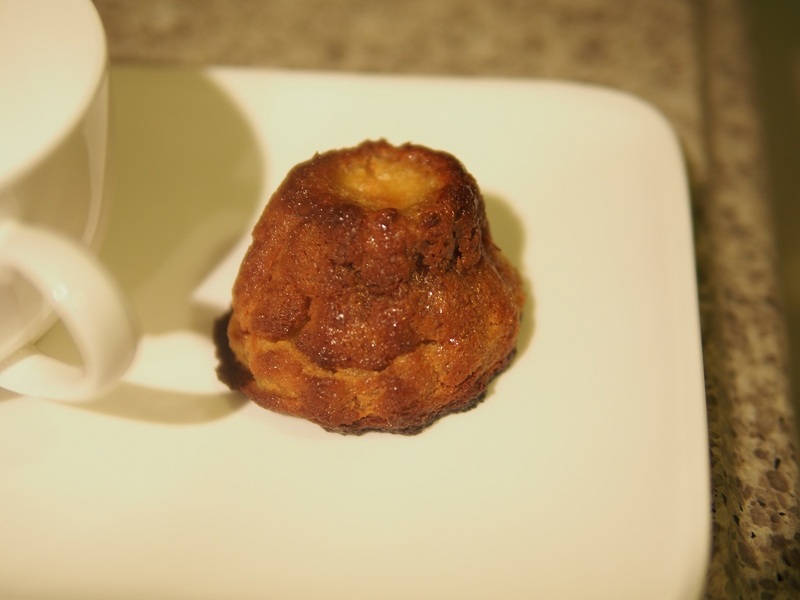 Canelé is a small delicate French dessert from Bordeaux. They are amazing and unforgettable when prepared well. This is exactly what happened to me. I bought one small Canelé from Cumulus Inc. and I could not forget it. Traditional Canelé is made from a combination of products, such as sugar, flour, milk and butter. That is my reason for creating this recipe. Through many trials and errors I came up with this version of Canelé where I use Paleo friendly products. Finally, I forgot the taste of my first Canelé that I bought 🙂 Long-awaited success. 1. Preheat an oven to 220C. Generously cover Canelé moulds with Coconut oil then with coconut sugar and make sure each individual mould is well covered with oil and sugar. 2. Put all the batter ingredients into a 1 litre jar with a secure lid and shake well to make a very smooth and consistent batter. 3. Place the canele moulds onto the baking tray, fill them up with the canele batter. Bake for 20 minutes with fan on at 220C. 4. If you are using real copper moulds, reduce the heat to 180C, switch off the fan and bake for about 30 minutes. If silicone mould is used, take the mould tray out and turn over the baking tray covered with a baking paper. Put the tray back into the oven and bake for another 25 minutes at 175C. 5. Remove Canelé from the copper moulds immediately, otherwise they will get moist and lose outside crust. Let Canelé cool in a dry place.